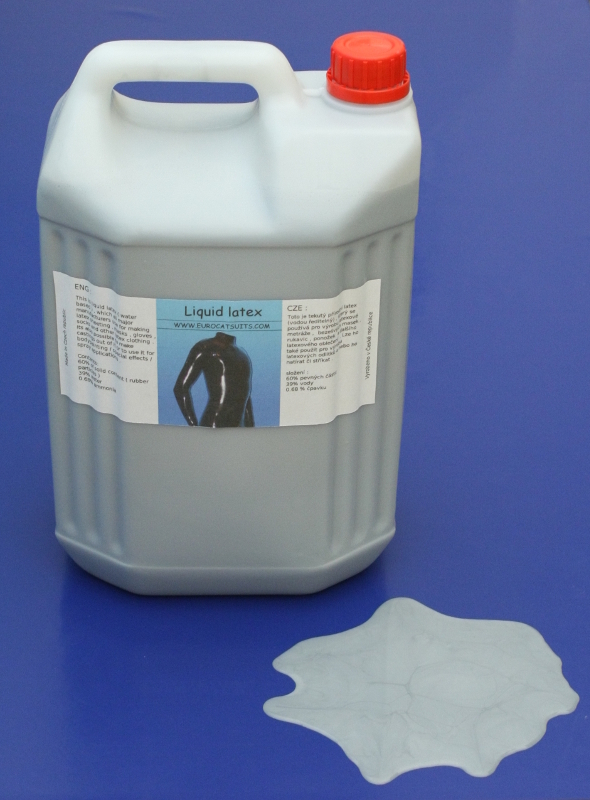 This is liquid latex ( water based ) , which all major manufacturers use for making latex sheeting , masks , gloves , socks and other latex clothing . Its also possible to make castings out of it or to use it for bodypainting / special effects / spray applications . Water evaporates during drying process . Resulting latex film is water resistant and highly elastic ( elongation before break up to 700% ) . After it dries completely , it can be easily glued with our latex glue . Available in black , red , blue , yellow , green or transparent ( natural ) color .